POLICE confirm that vandalism on a Welsh memorial is being treated as a hate crime. 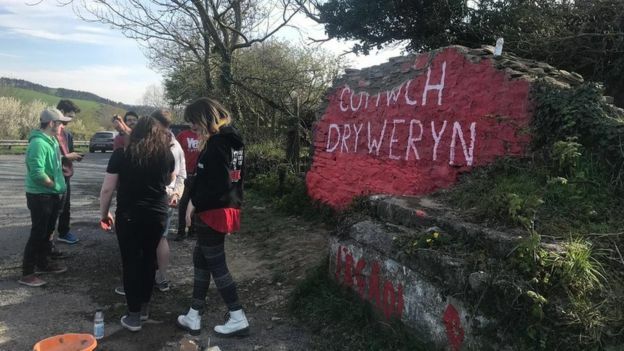 The memorial “Cofiwch Drywern” – Remember Tryweryn, graffiti mural in Aberystwyth, was reduced to rubble just days after it was repainted. After noticing the vandalism on Friday, local volunteers stepped up and have already repainted the mural, and sat overnight Saturday to keep watch. 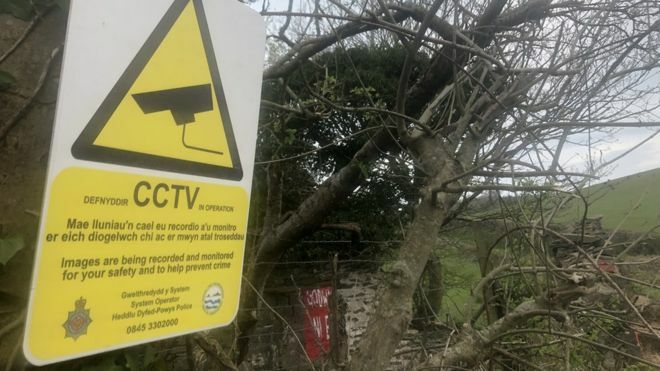 Dyfed Powys Police confirmed the installation of CCTV on Monday at the site which lies on the A487 between Aberystwyth and Aberaeron. The graffiti mural was created to mark the flooding of Welsh-speaking Village Capel Celyn near Bala, Gwynedd in 1965. The valley was dammed, despite huge opposition from Welsh MP’s, to provide water for Liverpool.